There will be two reservation sessions, with the first session from 5-7 PM and the second session from 8-10 PM. Reservations can be made by calling 630-232-8811. 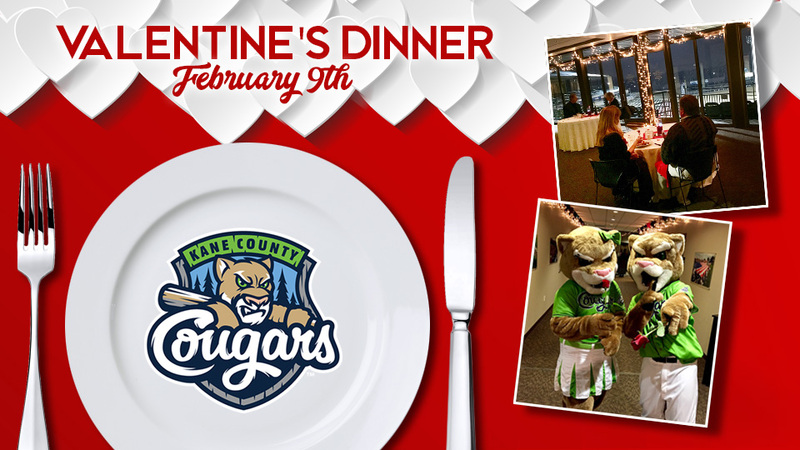 Couples can choose a private suite option for $95 per couple or enjoy dinner in the Super Suite banquet room, which will be set up restaurant style holding multiple tables, for $75 a couple. Suites and tables can accommodate multiple couples for those parties looking to double-date. It is recommended to call early as Valentine's Dinners in years past have reached capacity. For updates on tickets and promotions for the 2019 season, follow the Cougars on Facebook, Twitter, and Instagram.